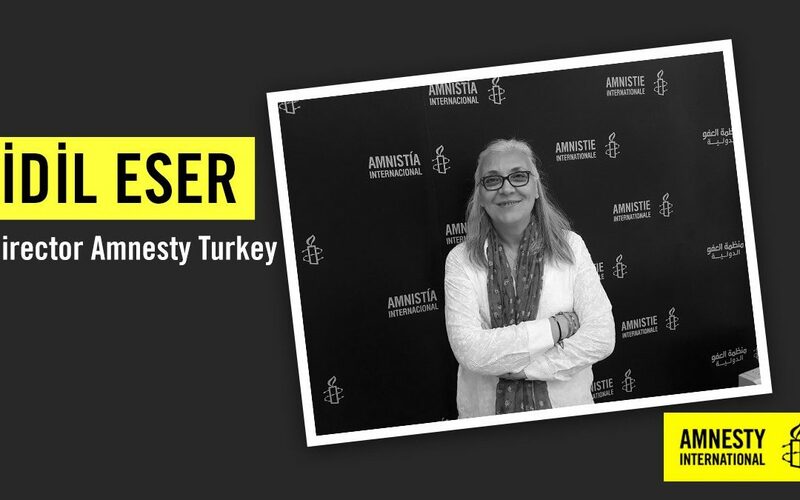 Director of Amnesty International (AI) Turkey Idil Eser, who has been jailed since her detention on July 5, has no visitors since she does not have any immediate family. According to government decree No. 667 issued under a state of emergency (OHAL) that was put into effect soon after a botched coup attempt in Turkey last July, people who are arrested on terrorism charges can only meet with their immediate family and lawyers once a week. Reminding that before the existence of OHAL decrees prisoners could give the names of people who would visit them, Doğan said friends of Eser would file a petition with the prosecutor’s office to ask for permission to visit her. Six human rights activists, including Eser and German human rights consultant Peter Steudtner, who were detained on July 5 during a workshop at a hotel on İstanbul’s Büyükada, were put in pre-trial detention by an İstanbul court on July, 18. While two of four human rights defenders who were previously detained and released earlier this week in İstanbul were taken into custody again on Saturday, two other rights activists were freed on Tuesday on judicial probation subject to an international travel ban. AI Europe Director John Dalhuisen said the entire human rights movement in Turkey is being threatened, in response to remarks by Turkish Foreign Minister Mevlüt Çavuşoğlu that came during a press conference with High Representative for Foreign Affairs Federica Mogherini in Brussels on Tuesday. “The absurd case against Idil Eser is not based on any nefarious activities but instead rests entirely upon the legitimate work of Amnesty International. If this work is criminalized, it is hard to see how the organization – or indeed the wider human rights movement in Turkey – can continue to function,” said Dalhuisen. Taner Kılıç, a lawyer and chairman of AI’s Turkey’s board, was arrested on June 9, accused of using an application called ByLock on his phone, which according to Turkish government is an evidence of having links to the alleged mastermind of a failed coup attempt on July 15, 2016, Fethullah Gülen, who has denied any involvement. This article originally appeared in Turkish Minute on July 26.